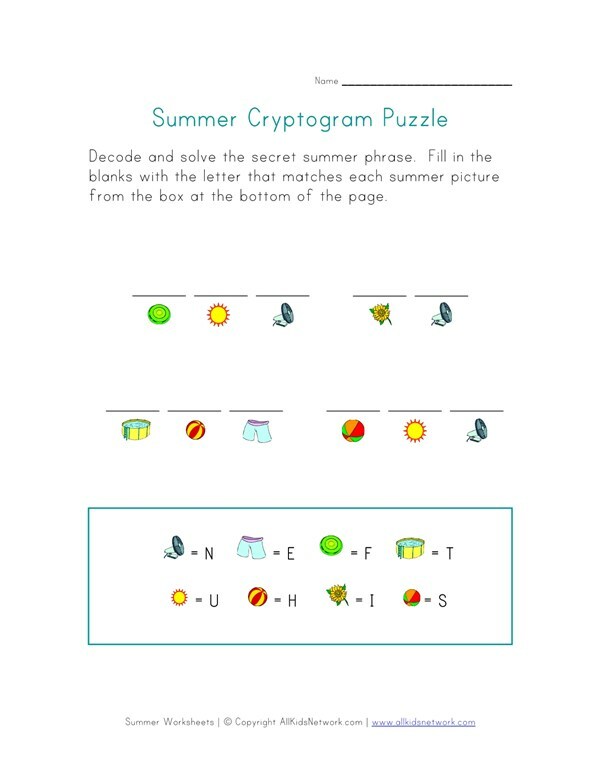 Check out our printable summer puzzle which is a picture cryptogram worksheet for kids. 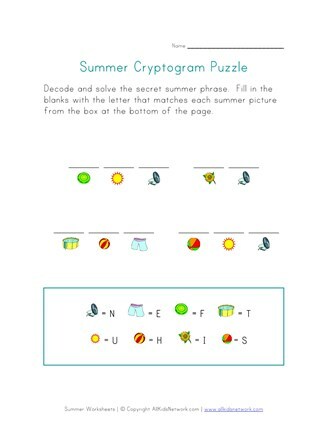 Children will have fun matching the summer pictures with the letters in the key and using it to solve the puzzle. Print this worksheet out and check out the rest of our summer worksheets. Also make sure to check out our section of summer crafts for kids.